Clinton Road it is, by far, one of the most mentioned roads when it comes to telling horror stories. Hundreds of stories are spread over the internet and around many campfires in many places. 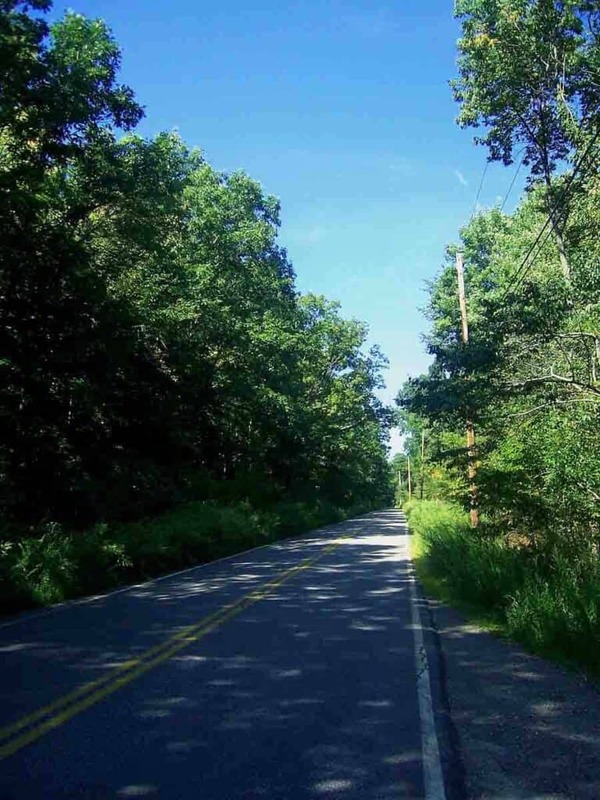 New Jersey might look like a boring and pretty common place, but Clinton Road’s badly paved roads have seen things that even in your worst nightmares you could only imagine. The United States is a superstitious country, believer in the good, the bad, the divine and the profane, and as you progress in your reading you will be able to confirm for yourself that even the most disbelievers have confirmed that rare things live in that space of earth. Travel at night is difficult, as fatigue begins to wreak havoc and know that there is a lot of travel left can make you feel even more tired, but nothing compares to the shiver you feel to be alone, tired, under the light of an absent moon, waiting to arrive as soon as possible to your destination. Perhaps you have already made this trip, and you may have had good luck, but the numbers do not lie, and many people have found their luck in a dark night without a moon, when a car in perfect condition begins to present failures, to the point where you can not turn on your car, and you can only wish it was a bad dream. The imagination is a wonderful thing, and it can show you beautiful and horrific things at the same time, but there’s nothing worse than a blunt truth, and that’s what we’ll tell you next. Although this route connects with two areas that are virtually desolate, it has an interesting feature: it is one of the few sites throughout the territory that have 5 minutes waiting at their traffic lights. In spite of being an area practically abandoned by residents and foreigners, it gives you enough time to devote to think many things. This time was tapped by good and bad people, each one in their own way. Maybe you could have used these minutes to think about what you have to do during the day, or maybe to communicate with your family, but hundreds of people dedicated this moment to get rid of the corpse and the entire things that could condemn them. You read well, this site has been the temporary graveyard in which many bodies have waited patiently for someone to come and give them a dignified rest. None of these cases have been starring paranormal, but there is nothing more terrifying than knowing that people without respect for life have decided to get rid of their problems on a road that is not too busy. We just hope that the day you need to pass by, you should not pay with your life the silence of someone else’s crimes. Being known as a not so busy site, it is logical to think that this group of dissociated people would find perfect this area for their meetings. Known for the greatest crimes against humanity, racism and any other type of discrimination known to man, these groups took advantage of the loneliness of the road to plan their next move. It is said that each meeting then left a regrettable fact, but sadly the authorities could never prevent these terrible persons from getting together. When the terrain is extensive and there is no jurisdiction that has the resources and the interest to do something about it, white-collar criminals have the free territory to attack. Local newspapers have taken charge of doing their job, and occasionally the headlines are filled with the Clinton Road title. This happens when the case is too surprising, and it is when the silence breaks and the news is allowed to breathe a little. 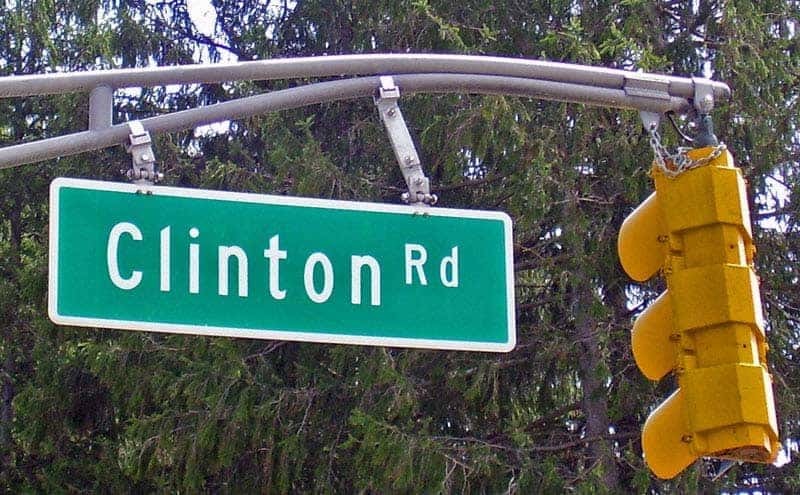 If you make a little research, we assure you that you will find hundreds of press releases, newspaper articles and independent notes that speak of specific cases produced on Clinton Road. No matter if you’re a believer or not, as we told you before, the numbers don’t lie. More than 150 different cases are presented annually in this area, some more surprising than others. If you are not getting enough with the tales of the way, and the stories that go from generation to generation, you may be interested to know that paranormal cases date back more than one century, and for one reason or other, they have been ruled out by the police but not by the citizens. After all, those who live the problem are the ones who care most about solving their concerns. There have been seen hundreds of creatures of varying sizes and shapes that have their life in this area, but we do not know if “alive” is the right word to describe them. The test of drugs in animals is a reality for everyone, but maybe you should start asking yourself what happens to animals that don’t show the results that labs want. Dismembered bodies are not the only thing that a person might want to hide. All experiments can go wrong, but there is no way for you to truly find out how many animals have mutated into unrecognizable beings, and many of these are scattered here. From rats to monkeys, even dogs, and cats. All animals are good at conducting experiments, especially when you will not be accountable to anyone. If you are a science fanatic and want to cure your concerns with your own eyes, we can only recommend that you go well protected and never, for nothing in the world, decide to go alone to investigate. A bite is not the worst thing you can get from these contaminated animals, especially for those who, in addition to being used as guinea pigs, have had the misfortune to be objects of satanic rituals. The perfect places to commit crimes and atrocities are those that are hidden by anonymity and darkness. It is for this reason that the beings of the night take advantage of these extensions of earth to try to engage some type of communication with supernatural entities. Some of those persons say that they have done it, others are still trying, but the truth is that they all offer sacrifices. In an area full of live animals, the most logical thing is that you do not need to bring your own sacrifice, so these people are dedicated to hunting the most deformed and surprising creatures, thus affirming that in this way they will achieve favors and successes. For many of these people the ritual is consummated when the creature dies, but for others it is only necessary to shed the blood, and suffering is a much more dignified gift. This is the only way that hundreds of creatures spend their last hours or days suffering and dying, waiting for a pious soul to end their pain. Or maybe this is what they want to make you believe. Perhaps they are simply the trap that others have set to attract a greater sacrifice, perhaps a kindly soul who had the misfortune to choose a bad time and a bad place to do a good deed. Maybe you think that until now we have only told you big fat lies, or maybe we are exaggerating the reality to attract or scare visitors, but the truth is that we only try to warn you. You’re free to do whatever you want, but you might want to be able to get back safely, and that’ll only make it you walk in. The worst is not on the sides of the road, the worst is locked in the shadows, hidden and quietly waiting for his next victim. Evil has many faces, and it is best to be prepared for the best. If our words are not enough to deter you, the least we can do is recommend a little company, as your reflections could fail in there. Since the flesh and blood humans may seem harmless to you, we want to tell you a little bit about the legends best known to the citizens of this area. You should have guessed that an expanse of land so full of surprises should have its own horror story, and the truth is that there are so many versions as people in ther, because everyone has a different experience. Let’s start with the kids. Many say that they have seen a child standing at the edge of the bridge, looking towards the horizon. It is said much of the death of this child: Some say he was playing and fell into the water, others say he was collecting a coin and was violently hit by a distracted driver, and others say he just jumped. The truth is that everyone agrees that this small subject is dedicated to wait for drivers or passengers to stop for a moment to throw a coin, to immediately return it. People also agree that if you get off the wagon, this kid will push you. Tell the legends that you can find a Camaro driven by a girl while you’re on the way, but you can only find her if you’re counting the story as you cross this path. We don’t understand why anyone would want to talk about something like this while crossing the road, but this is a free country and everyone can talk about a dead girl every time they want. They also say that there is no need for a complete car to start a disaster, as you can see a couple of lighthouses that float in solitude, and appear suddenly in order to make the drivers collide cautious. No matter what the techniques are, what matters is to end as many lives as possible. And they are not considered innocent since there is a lot of information watered by the country, which seeks to prevent its people from crossing this road. After all, forests are able to hide big and small things, and maybe we’re just looking at the tip of the iceberg. If something has taught us the experience is to not trust anything, even in our instincts, so no matter how good you can be with your survival techniques, it is very possible that you do not get out alive in this particular forest. Cross Castle was an abandoned building since the beginning of the last century, and has become the spectator of hundreds of horrors that we could only mention. Starts with men looking for a secluded site with no witnesses to fulfill their darkest desires, and keep going with groups of people looking for a quiet place to perform their rituals, but never ends. There is evidence of hundreds of murders, rapes, satanic rites and invocations within the walls of that castle, but no one has had the guts to knock him down once and for all. There is not a time of day that can be safe to enter there, so the only thing we can do for you is recommend that you do not come in. And even if you enter, it is very safe that you will not understand anything. There are writings and symbols in unknown languages to the modern man, which keep secrets and unpleasant surprises. There is not a single person who has documented what has been written, but perhaps it is better that way, because evil must not be put into words that anyone can understand. The experiments are not the only animals that are scattered throughout the forest, since Warner Bros himself wanted to make use of this large expanse of land for his business, creating a large zoo full of exotic animals, but animals have an extrasensory perception that never ceases to amaze. Tell the news of that time that the animals soon to have reached this locality, began to behave in a very strange way, and started to attack their owners and visitors. Those who did not attack humans began to injure themselves, unnatural behavior for any species. Animals appeared dead in their habitats, dismembered or hung in impossible positions, so for this and many other reasons this project ended very soon. They tried to pick up all the animals, but they became savages and there was no way to save them. In this way they went on to live with this toxic environment, and the satanic rituals could be the reason why these animals lost their peaceful nature. It was so great their change, that if you manage to stay long enough to observe, you may find animals eating parts of human bodies, even though the animals in question are naturally herbivorous. 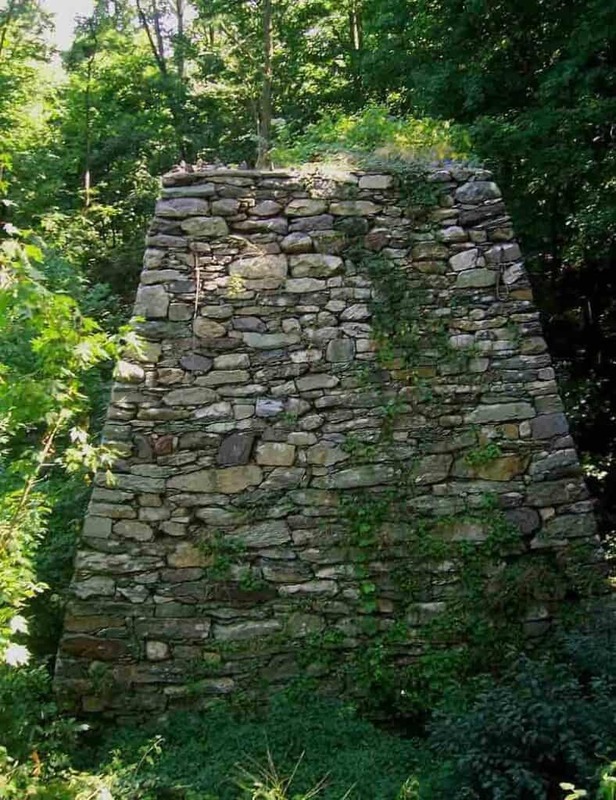 We have compiled all these details with the intention of making you desist from delving into the secrets that Clinton Road conceals, but we cannot stop you. We just hope you know how to take all the advice we offer, and hopefully you’ll get out alive. And yes, having life is not the same as being alive, and we hope you don’t have to find out for yourself what the difference is.